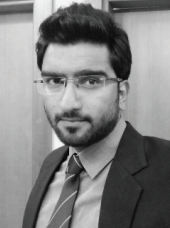 SANA QAMAR INTERVIEWED SANJAY SIROHI, PGPM GURGAON CLASS OF 2014 STUDENT. SANJAY IS WORKING AS AN ASSOCIATE CONSULTANT WITH MAVERIC SYSTEMS LTD. – AN IT SERVICES FIRM BASED OUT OF CHENNAI THAT OPERATES IN 3 DOMAINS VIZ. BANKING AND FINANCIAL SERVICES, TELECOM AND INSURANCE. How did you benefit from the PGPM course offered by Great Lakes? SANJAY: Great Lakes provided me a platform to learn about many dimensions of business – management skills, business ethics and what not. But most importantly, it helped me improve myself exponentially – both in professional and personal aspects. Like any other batch in such a program, our batch was a fine blend of students from different domains (Yes, IT ruled… again). I believe it is imperative to accommodate such a mix to enable us to learn from each other while we are on the go. I met some really inspiring people in my batch, who I am sure will become big names in their respective industries some years from now. Then, undoubtedly the faculty! With some truly renowned names of the management education system in India teaching us, I couldn’t have asked for more. From the antics of Bappa Sir to the textbook teaching style of Dr. Das, from the in-house group of scholars to the external faculty / industry speakers – we had it all! Not to forget the living legend himself, Uncle Bala kept visiting us every now and then for a pep talk! I was able to build a very strong network of people during that one year – thanks to Great Lakes! I realized the importance and utility of a good network only after coming to Great Lakes. As Uncle Bala always says, “Your network is your net worth”. SANJAY: I am a Business Analyst in the Banking and Financial Services domain, predominantly servicing clients in the EMEA (Europe, Middle East and Africa) market areas. My key responsibilities include facilitating stakeholder meetings to elicit project requirements, performing gap analysis to define project scope, designing a plan to achieve the project goals and managing the requirements for the end-to-end delivery. I have been a part of 2 projects on Islamic Banking so far in the organization. What was your live project and how did you get it? SANJAY: I did a live project for Pro Activ Foods Limited, an FMCG firm in New Delhi. The project objective was to increase the online sales of their food products. As a team of 3 members, we tried to analyze the factors that influence the category selection in e-commerce. Give us some insights on the industry you are in. SANJAY: Over the years, Management Consulting has become extremely important for businesses to achieve superlative performance. Every organization longs for a sustainable efficiency improvement for long term success. To be a part of this industry, one must know the basics of business really well. Enterprises across the globe are trying to look for opportunities/areas of improvement that would help them in enhancing their business in more than one ways – solve issues, create value, maximize growth and improve business performance. To be an independent advisor, you need to be always on your toes and capable enough of providing alternatives to cater to the client needs as you are considered to be an expert brought on board for (presumably valuable) external advice. One must be mentally prepared to operate with agility to win in this dynamic business environment. How did you plan and prepare yourself during the 1 year at Great Lakes to arrive at your desired job/role? SANJAY: I knew exactly where I wanted to see myself a year down the line. To be precise, it was the management consulting job profile. Since ours was the first batch wherein ‘Analytics’ was introduced as a stream, I thought of being ahead of the curve. I had absolutely no knowledge of ‘Finance’, but thanks thanks to some wonderful teachers at GLIM, I developed a keen interest in the subject and took it up as my minor specialization (along with Marketing – which I believe is a must in an MBA grad’s profile). 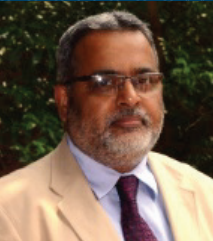 I was fortunate enough to find an extremely dependable mentor in Dr. Das early in the academic year. I was very comfortable sharing my goals/views with him. He guided me every now and then, and was instrumental in developing the self-belief in me. He truly was a pillar of strength for me during my stint as he kept motivating me to work harder and pursue my ambitions. He was officially assigned to be my mentor for one year, but to my good fortune is a mentor for life. Based on the feedback of the Placement Committee, the faculty members and a couple of Alums, I figured out the top 3 companies I need to focus on during the campus placements. As luck would have it, I managed to clear the first one that came in for recruitment. Please share your valuable insights for PGPM, batch of 2016. Know where you want to be. Nothing should deter you from this stance. Be adamant about it. Figure out a specialization in line with the kind of role you want to opt for. Keep performing a status check of where you are and where you want to be. I suggest you to do it after every term – it is a rather good time for retrospection. Prioritize the companies you want to target. Appearing for every interview coming your way is not a good approach to find a relevant job. Read extensively about the company coming in for campus placement. You should be able to talk about the company for at least 5 minutes with any CXO level personnel. It is important to understand what role the company has to offer to you. And it is equally important to identify what you have to offer to the company, and communicate how you seem fit. Don’t stop when you are tired. Stop only when you are done! Energy environment interface has a divine dimension. Nations depending more on the naturally gravitating water falls, circulating winds and sun rays are demonstrating blossoming economies, while fossil fuel (decayed remains of plants and animals) dominated energy generation is contributing to ≈ 60% of the green house gas emissions responsible for global warming & pollution. A change in mindset of communities can swing the development process in favor of a safe and prosperous common future. Energy and consciousness being at the root of all cosmic creation can never be separated in the entire supply chain from generation to consumption. Science and Spirituality are the two sides of the coin if it has to circulate for the cause of sustainable progress of mankind across generations. Deep insights on intellectual, psychological and spiritual approaches for the well-being of mankind are essential at this point of time in the history when everyone around is keenly observing the “Emerging India” willing to reinforce its integration with global economy. However, present knowledge of science and technology without a spiritual foundation is a cause of concern for the imbalance evident in the self, the society, the nation and the world. The philosophical and resource oriented sentimental relationship between mankind and the environment depicts the impact of improper choice of resource mix for power generation and also its reflection on national economies (please see adjoining Illustration and Table below). It would be intriguing to note that if India’s average cost of power generation is around 350 p/u with present resource mix of 26% Carbon free cheap energy (CFCE) and 74% Thermal, it could be as low as 200 p/u with this ratio just reversed i.e. 26% Thermal and 74% CFCE, besides huge reduction in carbon footprint. [B] Brazil has surpassed GDP of an advanced country like Canada by building 68% Hydro out of its total capacity (including world’s second largest Hydro Power Station- Itaipu 14,000 MW) against 51% Hydro in Canada. [C] Germany ( a country of <11% size of India ) has surpassed India’s GDP by reaching its CFCE capacity to 46% against 26% in case of India. Man-made threatening Green House is a clear example where human mindset has to integrate internationally for a safer common future, going beyond the mere arithmetic’s of carbon credits, not depending on technological solutions alone, but resorting to the right choices of carbon free renewable energy sources. Technology decides the ‘edge’ of the age whereas ‘mindset’ sets its direction. By integrating Mindset with Technology, success results can surprise the societies. Spiritual path focusing on values and consciousness needs to be road mapped for reaching the goal of an ideal energy solution for a safe common future of mankind. The ancient spiritual wisdom has for us not only a treasure of values but it also enlightens us on what is necessary to know about the cosmos and the consciousness in order to have a coherent world-vision and to acquire right outlook and to place our relationships with nature on right lines to create a better world! They come and they go. Where?